Villa Rendezvous is a 3,750 square foot, 3 bedroom and bath luxury penthouse condominium. It is located in the prestigious Auberge Private Residences in Punta Ballena, next to the Esperanza resort and offers an amazing view of the Sea of Cortez. This villa comes with a fully equipped kitchen, a spacious living room for intimate gatherings and a great outdoor space perfect for grilling. Needing a place to stay for the weekend? Come and stay at Villa Victoria! This sprawling home has a land area of 3750 square feet, perfect for large families and close friends. It is a perfect getaway that overlooks the glorious view of the Sea of Cortez. The villa boasts 3 en-suite bedrooms (2 king & 2 full) and 3.5 bathrooms. A modern fully equipped kitchen is provided to suit your culinary desires. Welcome to Villa Pamela, a sprawling 3,750 square foot, 3 bedroom (2 king & 2 full) and 3.5 bath, luxury condo located within the exclusive Auberge Private Residences at Esperanza in Punta Ballena. This villa boasts of 3 bedrooms, each with its own luxury bathroom. 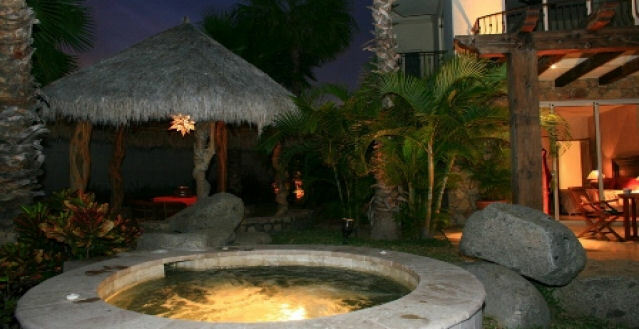 It is professionally furnished in a contemporary Mexican luxury style, giving vacationers a sunny atmosphere. Villa Lucero is a sprawling 3,750 square foot 3 bedroom (2 king & 2 full) and bath luxury condo located in the prestigious Auberge Private Residences in Punta Ballena, next to Esperanza Resort and Spa. Furnished and designed in contemporary Mexican style, it is easy to feel right at home in this lavish estate. 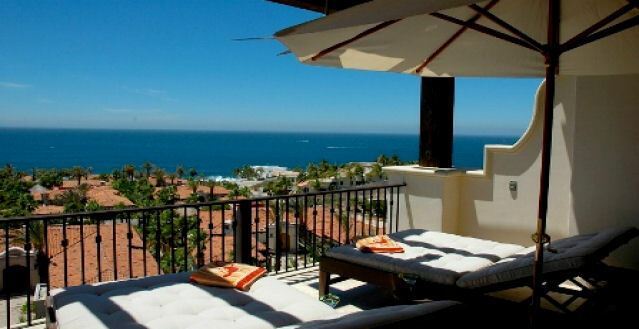 Enjoy panoramic views of the Sea of Cortez from the master suite, second bedroom, dining room, and terrace. Villa Las Estrellas is a 3,750 square foot, 3 bedroom (2 king & 2 full) and bath luxury penthouse condominium. It is located in the prestigious Auberge Private Residences at Esperanza in Punta Ballena, next to the Esperanza Resort and Spa, offers an amazing view of the Sea of Cortez. This villa comes with a fully equipped kitchen, a spacious living room for intimate gatherings and a great outdoor space perfect for grilling. Needing a place to stay for the weekend? Come and stay at Villa La Reina! This sprawling home has an area of 3,750 square feet, perfect for large families and close friends. 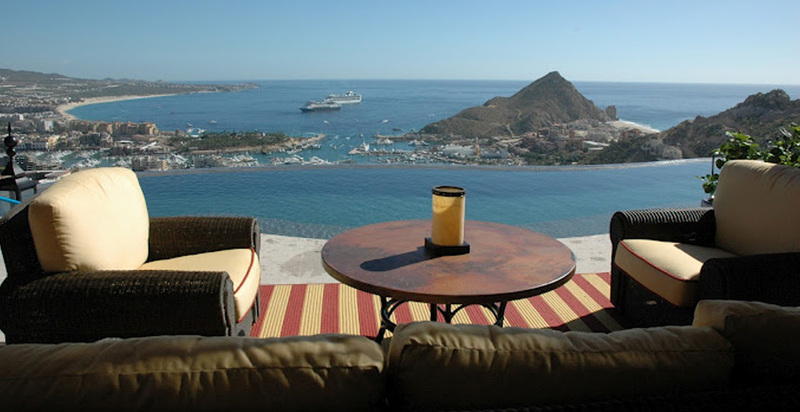 It is an ideal getaway that overlooks the Sea of Cortez. The villa boasts 3 bedrooms (2 king, 1 twin & 2 full) and 3.5 bathrooms. A modern fully equipped kitchen is provided to suit your culinary needs. Villa Encanto is a spacious 3,750 square foot, 3 bedroom and bath luxury condo located within the prestigious Auberge Private Residences at Esperanza in Punta Ballena. This beautiful Villa has 3 bedrooms (2 king & 2 twin), each with its own luxury bathroom. Brand new and professionally furnished Mexican decor gives you the homey feeling one looks for. This gorgeous beachfront property is a gated for top security and offers luxurious accommodations for you and loved ones. You will find yourself immersed in modern Mexican architecture, striking tropical scenery and impressive views of the warm deep blue ocean! 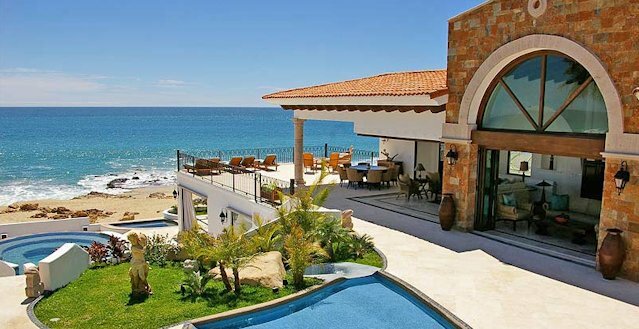 Villa Golondrina is a Mexican inspired ocean front villa that has a great view overlooking the Sea of Cortez. This spacious 4 bedroom (1 king, 4 queen, 1 sofa bed & 2 full) and 4 bathroom vacation house is perfect for your huge family since it can accommodate a total of 14 guests. It has everything you could ever want in a vacation home. Casa Miramar is a luxury haven that offers the best in resort living in one of Los Cabos' premier neighborhoods, Cabo del Sol. This custom designed 6,100 sq ft residence expands to more than 8,000 sq ft with its outdoor kitchen and four beautiful terraces. Ready for some weekend fun and relaxation? 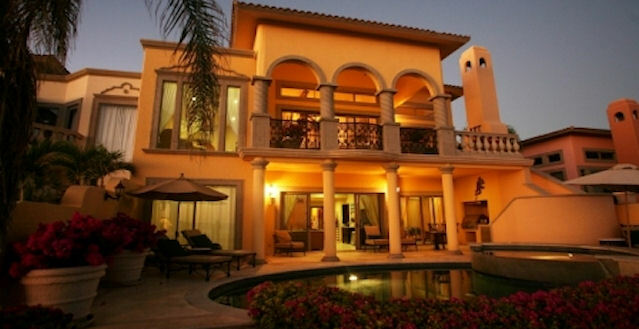 Then come stay with us at the beautiful Casa Portofino at Cabo del Sol. This spacious home boasts of 4 bedrooms (2 kings & 2 queens), each with its own bath, keeping in mind a glorious view of the Jack Nicklaus Ocean Course and the Sea of Cortez. The modern kitchen is provisioned with everything you need. Casa Finisterra is an incredible, modern, ocean view home situated cliff side in the famous and exclusive development of Pedregal in Cabo San Lucas. Carved into the dramatic Palmilla coast, in the gated resort community of Villas Del Mar, our five-bedroom Palmilla is suspended above the Sea of Cortez—and is so immersed in a remarkable sea view that, while standing on the courtyard terrace, it feels as though you’re on the prow of a grand ship in the middle of the ocean. A blend of traditional Mexican architecture and contemporary interior design, this elegant villa features not only a stunning design, but is also steps away from the golf course, the sand and the blue waters of the Sea of Cortez. Casa Luna is a 5 bedroom, 5.5-bath luxury villa in an outstanding location, right on the beach in the gated community of Misiones de Cabo, The residence offers sweeping ocean views of the Sea of Cortez and the world renowned “Land’s End”, just a short 1 mile drive to all the fun and action of Cabo San Lucas. Casa Taz is a custom oceanfront, Mediterranean-styled home tucked away at the foot of the Baja Peninsula between Cabo San Lucas and San José del Cabo. 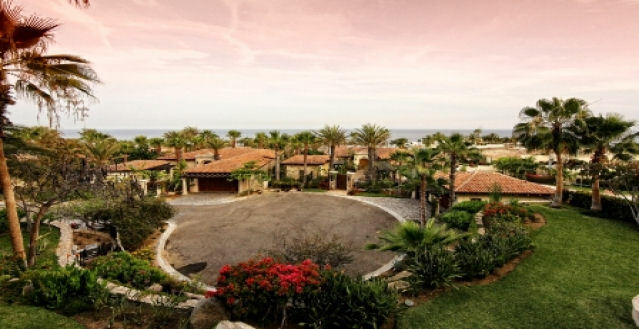 Nestled in the hills of Pedregal and overlooking the Pacific ocean, this spacious 6000 sqft. Hacienda style villa leaves nothing to be desired. With a bold interior structure, quality craftmanship and impeccable attention to detail it rivals and surpasses many of Los Cabos premiere properties. One of the largest beachfront vacation homes available in Los Cabos, Casa La Laguna sits on a quiet, pristine, semi-private beach, next to the Puerto Los Cabos Marina. 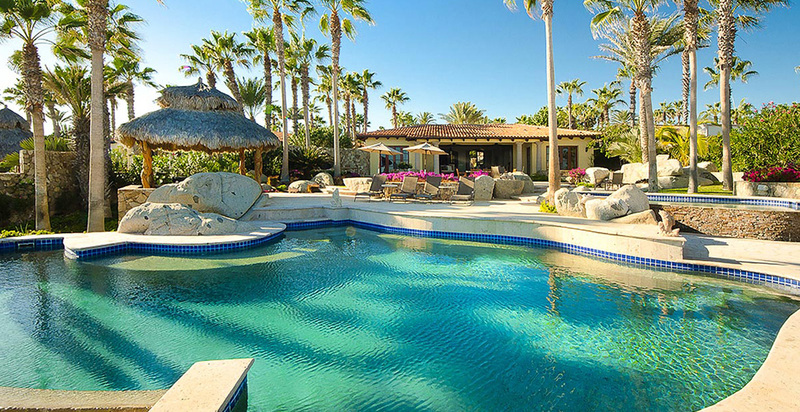 This newly built, private compound commands expansive, unobstructed views from Punta Palmilla to Punta Gorda. Located in the Corridor, this stunning beachfront 6 bedroom villa is surrounded by breathtaking views of the Pacific Ocean (Sea of Cortez) all throughout the home, which inspires a soothing and relaxing ambiance. Perched on a cliffside along the southern Baja coast lies a secluded luxury oasis overlooking the Sea of Cortez. With its impeccable sense of style, Casa Fryzer at Villas Del Mar is the tropical escape you’ve been longing for. Exclusivity and location are the attributes that define Casa Yvonne. Located in the heart of the Greg Norman Mission Course and Jack Nicklaus Marine Course, you will be just a couple miles away from San Jose del Cabo and 8 miles from Cabo San Lucas. Located in the dynamic hillside community of Pedregal, Casa Esperanza is a newly constructed luxury vacation rental with accommodations for eighteen. Unlike most other villas in Pedregal, Esperanza has direct walking access to the beachfront, a feature that is rare in this steep hillside area. A veritable hamlet situated in the Palmilla area of Cabo San Lucas, Casa Chanel offers sweeping views of the Sea of Cortez and the surrounding landscape. With carefully curated furnishings and extra amenities such as complimentary chef services, Casa Chanel will leave you feeling pampered and rejuvenated. A memorable vacation awaits you at Villa De Los Suenos. This newly constructed 6 star platinum villa boasts unparalleled amenities, comfort and breath-taking ocean views. Uncover the quintessential Cabo experience with impeccable design fit for the pages of Architectural Digest and the like. A perfect extension of the sea and surrounding natural elements, retractable doors open to completely expose the interiors, showcasing the million-dollar views. Casa Theodore is a spectacular 11 bedroom/11.5 bath Villa located in The Pedregal, a private gated community just outside of Cabo San Lucas. A mere five minute taxi ride can whisk you away from the hustle and bustle of town and deliver you to this private villa. The only thing topping the gorgeous blue water views of the Pacific, are the stunning sunsets that will take your breath away.